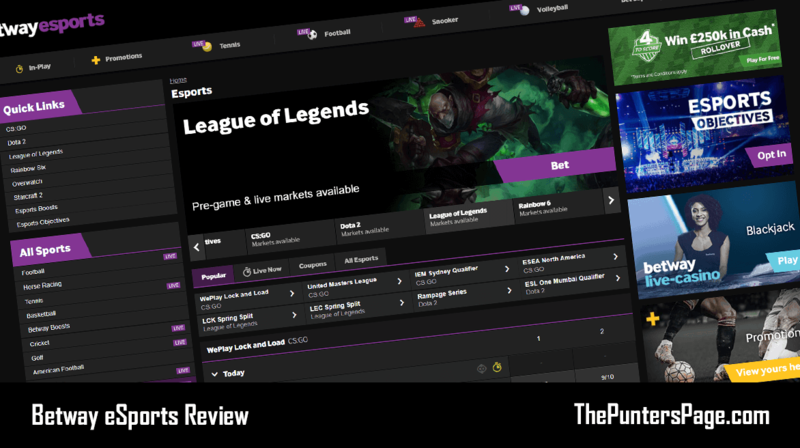 In this article we explain all you need to know about the Betway 4 To Score promotion including a step-by-step guide on how to play, our own tips and predictions as well as the key terms you should know about. What Is Betway 4 To Score? How To Play Betway 4 To Score? 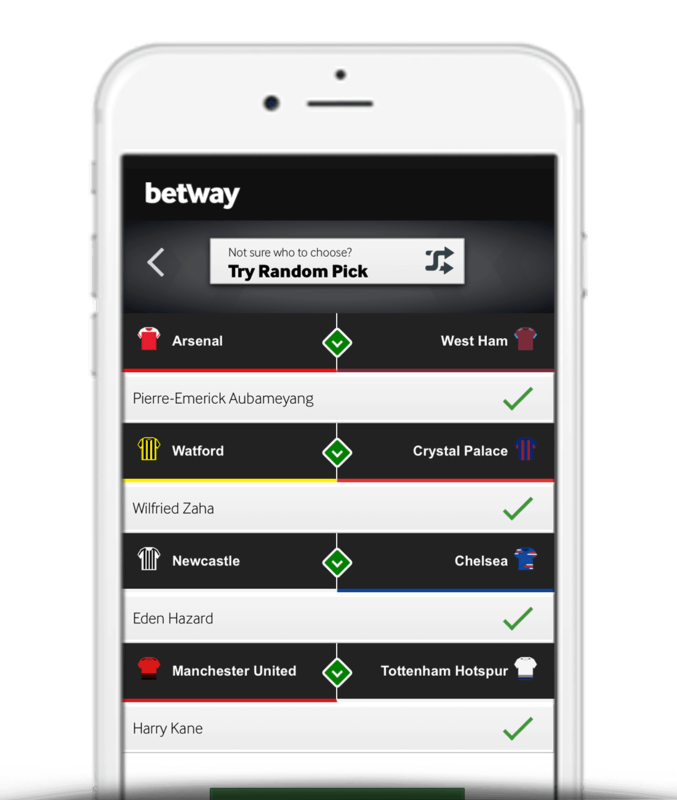 Betway are quickly making a very good name for themselves with offers such as their Bet Club and regular price enhancements. For any football fans needing further persuading to bet with one of the fastest growing bookmakers, then Betway’s latest feature, 4 To Score, might be of interest. 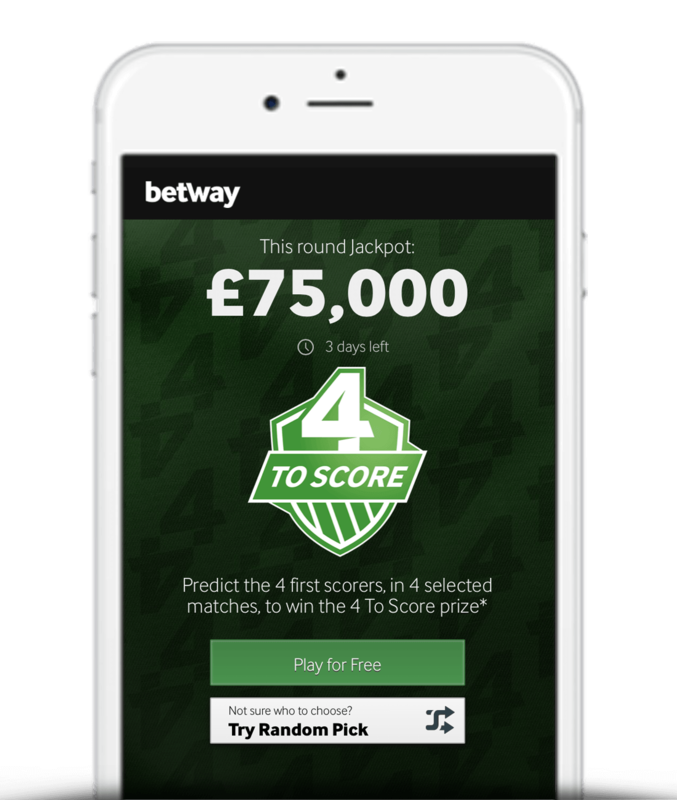 4 To Score is a free weekly game exclusive to Betway where players need to predict which team will score first player to score first in 4 pre-selected fixtures. There is a guaranteed jackpot of £25,000 cash to be won every week. If two or more players correctly predict the first team to score in all four divisions then the prize will be split equally amongst those players. 4 To Score is open to all customers. 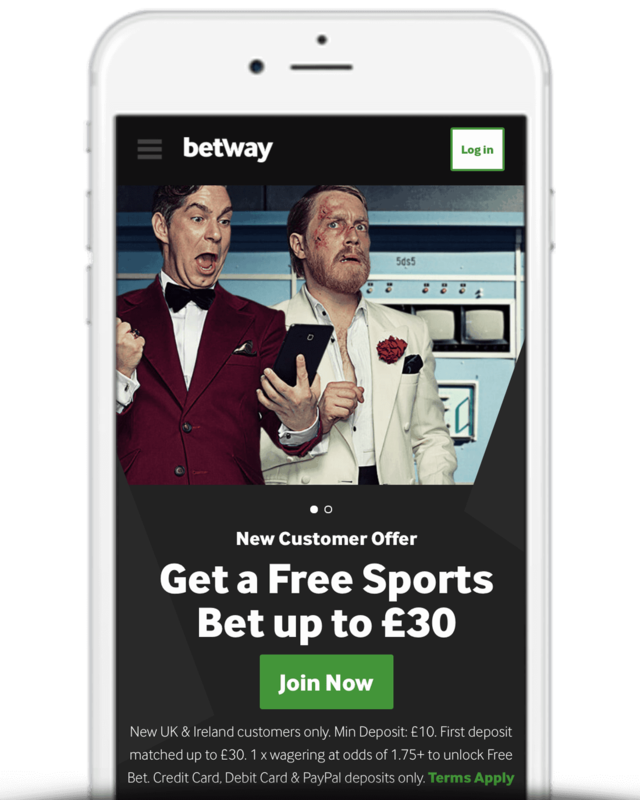 Register today and take advantage of Betway’s £30 matched free bet sign up offer. Simply make a deposit between £10 and £30 and Betway will instantly match it. 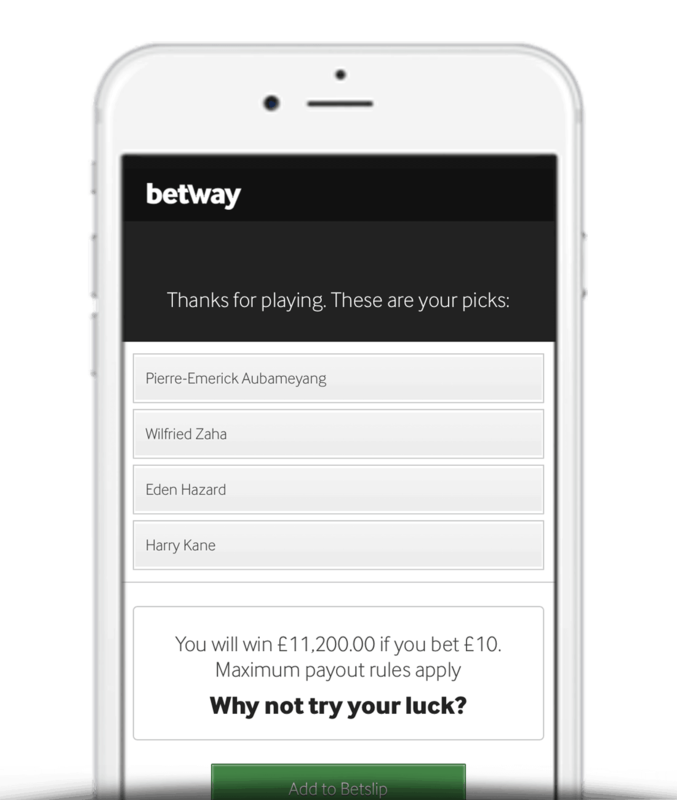 You can also view a range of Betway bonus codes that are available. Step 1) Head to the ‘4 To Score‘ page (via the ‘Promotions’ tab). Step 2) Select your 4 players to score first. Step 3) Confirm your entry by clicking ‘Submit’. The table below contains our predictions for the latest round of 4 To Score. Note: Entries must be submitted by 3PM every Saturday. Open to all Betway customers. One free prediction per customer per week. Guaranteed weekly prize of £25,000 – unless otherwise stated. Betway use BBC to determine the exact time a goal has been scored. In the event that two teams in the same league score at the same time then both will be counted as winners. Winners contacted by phone or email within 2 days. Prizes credited as cash within 72 hours. 4 To Score is a weekly prediction game that requires you to guess the first team to score in each league including the Premier League, Championship, League One and League Two. It’s a great way to keep you interested in Saturday’s 3 o’clock kick-offs and furthermore, it’s completely free to enter, so it’s hard to find a reason not to get involved.